Orange is the awareness color for many causes. 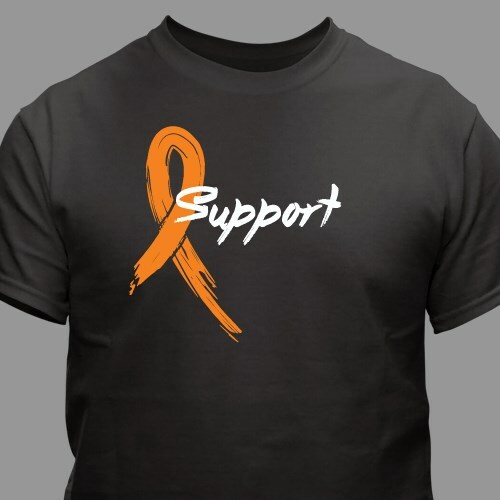 Show your support with this orange awareness ribbon t-shirt and start spreading its awareness today. This orange ribbon design is available on our premium 100% cotton, black t-shirts. Each shirt is machine washable and comes in youth sizes XS-L and adult sizes S-3XL.